Baseball legends and former teammates Derek Jeter and Hideki Matsui team up for the Tomodachi Charity Baseball Game, March 21, 2015, at the Tokyo Dome, Japan. 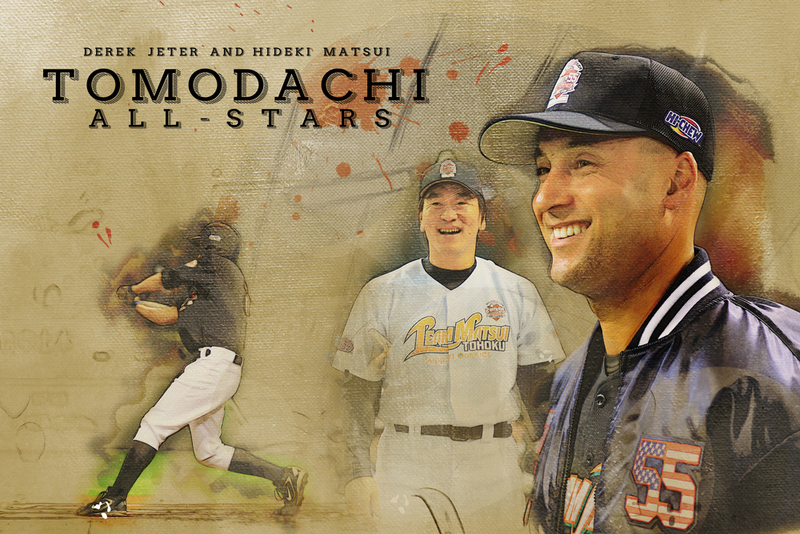 Middle-school children lead by Jeter and Matsui participated in the three-inning contest. While children from various military installations throughout Japan represented Team Jeter, Japanese children represented Team Matsui. The game helped raise awareness for victims affected by the Great East Japan Earthquake in 2011.